What is a ghost bike? A ghost bike is a bike that is painted white, usually a donated bike or a used bike, that serves as a memorial for a cyclist killed in a traffic fatality. It serves as a memorial for the deceased cyclist, but also serves as a reminder that someone has died at that location, and of the need to be aware of bicyclists on the road. When did you start creating ghost bikes? How many have you done? Why did you decide to take this on? In 2015, I founded Ghost Bikes Boston from the fatality of Marcia Deihl — that happened on Putnam Ave. in Cambridge. It started from me already organizing Boston Bike Party and being very active in the bike community. When the fatality happened, I took it upon myself to create the ghost bike ceremony. Since then, I’ve organized 12 ghost bike ceremonies. Where do you get the bikes for each memorial? I get donated, used from Bikes Not Bombs. They are always very accommodating and I can customize each bike to the type of person that passed. Are there any ghost bikes that you feel particularly connected to, or any dedications that stand out to you? Fortunately, I don’t feel too connected to them because I haven’t made one for anyone that I know. It would probably be very hard for me to make one for someone that I’ve known. As far as [a ghost bike being] more challenging, no. It’s getting easier because it is a familiar process on how to get the bike and cure the paint, make spoke cards, and get plastic flowers to decorate the bike. The first high-profile one was Anita Kurmann in 2015, because there were a lot of press and police there, and there was a video created. That probably stands out the most. 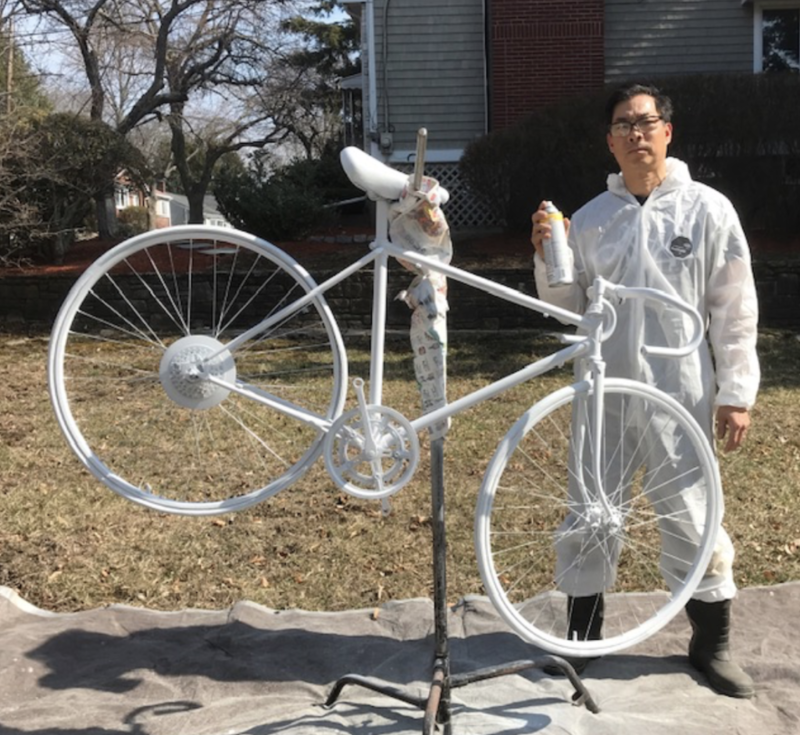 I think it is very important to make these ghost bikes to memorialize these people and have an impact on people driving and people riding by — to see it, and to be vigilant that we [people on bikes] are vulnerable out there. © 2018 Boston Cyclists Union. All Rights Reserved.